It’s a frosty, wintry Christchurch day when Peter Aitken and his wife Margaret take me on a drive to a cemetery in Yaldhurst where his great grandmother, Mary Jane Carpenter, and her husband, George Frederick Carpenter are buried. While those names may not mean much to you, Mary Jane’s should. She has a special place in the story of this nation and we’re at the cemetery – where Peter used to have acorn battles as a child – to record part of this week’s episode of RNZ’s suffrage podcast, Beyond Kate. Subscribe free to Beyond Kate on iPhones: Apple Podcasts, RadioPublic or Spotify. 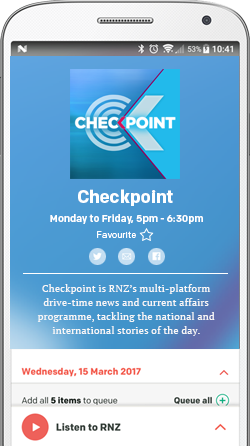 On Android phones: RadioPublic, Spotify and Podbean. The Kate in the title is of course, Kate Sheppard. But this series will look at the lives of other women back in the 1890s and the lives of women today to ask how far we have – and haven’t – come in the 125 years since New Zealand became the first country where women were able to vote. Mary Jane Carpenter is one of the more than 30,000 women who signed the 1893 petition that successfully went through parliament. That was a quarter of all adult Pākehā women in New Zealand at the time. The petition comprises of around 500 sheets of paper that together measured 270m. They were glued together, rolled up on a segment of a broom handle and presented to parliament. What makes Mary Jane’s name special is that hers is the signature right at the top of page one. The very first. Mary Jane lived first in Yaldhurst, and later Riccarton, where all the action was taking place around the petition. Kate Sheppard led the campaign along with a group of women who were members of the Women’s Christian Temperance Union. The sheets were mailed out around the country to other members of the WCTU who circulated them door-to-door to households across the country. “Formidable, that’s how I would describe [Mary Jane],” says Aitken. “To be proactive on women’s rights or seeking women’s vote...you had to have a fair bit of guts to stand up and propose those sorts of propositions”. Mary Jane arrived in New Zealand in 1870, with her parents and two siblings. She was in her early twenties and a domestic servant. But before long she married George, having seven children and helping run their 260 acre farm. As well as climbing the class ladder, Mary Jane was a staunch Methodist. And for many women who supported suffrage, religion and temperance were the driving force behind the movement. She adds that when the petition was circulated, many women signed with a shaky X because they weren’t used to writing their names, or holding a pen. “The [person] gathering the signatures would write the woman’s name [next to it],” Lash says in the podcast, as we pore over the petition in a darkened room with a feeling something akin to reverence. On the petition, there are around 500 of these marks. And it was important that the petition was circulated quickly; it was a race to get the bill passed before the election that same year. The law that got over the line was the third attempt, after earlier efforts were stopped in the Legislative Council – the upper house – in 1891 and 1892. “Kate Sheppard and her colleagues and the women from the Women’s Christian Temperance Union, knew that they needed to act really fast if they wanted to keep up the momentum,” Lash says. Otago University historian Professor Barbara Brookes says while today we might see Christianity as conservative, in late 19th Century New Zealand it was a galvanising force for women and encouraged them to move forward in a quest for social change. “Certainly the women campaigning for the vote were really driven by the idea that they should be out there doing the Lord’s work,” she says. But although women had few rights, not all women supported the bill. In archival audio from Ngā Taonga Sound and Vision, suffragist Hilda Kate Lovell Smith says she witnessed women who were against the vote. But women like Mary Jane persevered and it’s their stories we’ll capture in this podcast over the next eight weeks. You can subscribe to Beyond Kate on all good podcast apps. 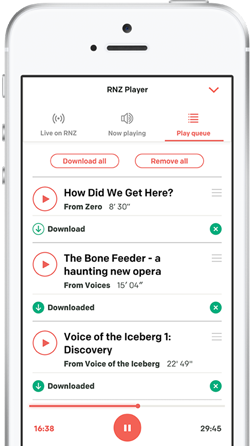 You can also listen to it or download it at the RNZ website.